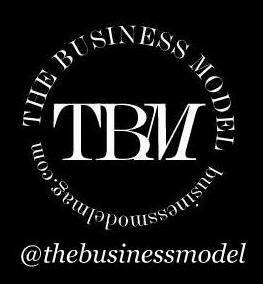 The Business Model: How long did you model for? What kind of work did you do? Nicole Jedrzejko: I started modelling at the awkward gangly age of fifteen years, when another model scouted me while back-to-school shopping at Sherway Gardens. As most teenagers would react, I was terribly excited and wide-eyed during my first year of working in the Toronto market with my lovely agent, Cynthia Cully (Spot 6 Management). I started with more editorial and high fashion work, and I have to thank Flare Magazine for giving me an eight-page editorial that really kickstarted my career. During my last two years of high school, I walked for a number of designers in Toronto Fashion Week (back when it was at Nathan Phillips Square) and did more editorials for Flare and Elle. The ball was rolling, and two days before my senior high school prom, I signed with IMG Models in NYC, London, Milan, and Paris. Nicole walking in Giambattista Valli’s first Canadian show at the ROM. "This is where I met some of my best model friends (including Jasmine! ), and running around the ROM after hours was one of my favourite show jobs ever." After much debate, I ended up taking a year off after high school to give modelling a real shot. I was back and forth between Toronto, Montreal, NYC, and Sydney doing work in fashion editorials, advertising (catalogue and campaign), and runway/trunk shows. It was a very lonely time, full of its challenges and learning moments. It made me and my family very unhappy to live at the mercy of the fashion industry, a place that is very unkind and unlucky. I returned to university the following year to start my Bachelor’s in Health Sciences (Honours) at McMaster, and is was one of the best decisions of my life. Though I haven’t officially “left” modelling, I only really worked for those four years. TBM: Why did you stop modelling? NJ: Such a huge question! As a teenager, it was much easier to be mystified by the sparkly world of fashion and beauty. I have to admit that I secretly loved the busy days of doing my high school homework on the Go Bus to Toronto for a go-see or shoot. But as I went through the motions of building my portfolio in different markets, my family and I were forced to face the harsh realities of the industry. Uncertainty, vapidity, loneliness, jealousy, and dashed hopes are common consequences of an early modelling career. I had always been an obsessively hard-working student, and my parents dedicated their lives to ensure my siblings and I would have a stable future in Canada; my mother immigrated from Somalia and my father from Poland, both in the late 1980s. Modelling was a shiny opportunity to make some money and have some fun, but the concept of it as a lifetime career was not an option for them. I thought it could be, but I slowly realized how unstable and disappointing it could be. Flare November 2008 editorial, Nicole's first big (eight page) magazine editorial. "I remember almost fainting that day after being so nervous, not having eaten all morning, and getting the most painful hairstyle," Nicole says. "Rookie mistake." TBM: Did you adjust your education plans so that you could model? NJ: The decision to defer my acceptance to the BHSc (Hons) program at McMaster was one of the hardest things I had ever done, and though I’m very grateful that I had the incredible opportunity to gain my independence in the high-risk world of modelling, I’m glad I left it when I did. TBM: Did you find it difficult to stop? Do you miss it? NJ: I admit I miss the fun of modelling. The spontaneity of its lifestyle and fantasies. Getting all dressed and dolled to transform in front of the camera or audience was a form of escapism from my boring upbringing in small-town Orangeville. I enjoyed the shoots with great crews, laughing in the makeup chair and wearing such beautiful fabrics and designs. But it just wasn’t real. I now have the immense privilege of building a career in something that truly gives back to people. A Dior gown is just a bunch of fabric to those who are suffering, fighting to live and thrive. I’d rather spend my time trying to make people happy and healthy. TBM: What is your undergraduate degree in? What program are you currently in? NJ: In 2014, I completed my Bachelors in Health Sciences (Honours) from McMaster University, where I also completed a Global Health Specialization. Today, I am a couple months into my second year of medical school in the MD program at McMaster’s Niagara Regional Campus, and I LOVE IT. TBM: What are your career goals? NJ: I still am not sure exactly what I’ll be when I grow up. I’m looking forward to my growing career in medicine, likely in a surgical specialty. My biggest medical interests surround capacity building for surgery, obstetrics, and anesthesia in low- and middle-income countries, promoting safe motherhood in low-resource areas in Canada and beyond, accessible reproductive rights for all, and preventative public health education. I’m not sure in what capacity I will be pursuing those interests though! Maybe I’ll be a rural general surgeon in northern Canada, or a consultant at the World Health Organization in Geneva. Maybe I’ll be a professor in a medical school, or a mom directing the community theatre production of, “Les Miserables”. Maybe I’ll quit big-city medicine all together and live on some island in the Pacific, providing medical care for the villages. Maybe I’ll just watch Netflix and eat Poptarts. [I'm excited] to find out, but I’m in no rush. Nicole receiving her BHSc (Hons) from McMaster last spring. "First one in my family to receive a university degree, and I’m so proud of everything we’d done to get there." TBM: What attracted you to the medical field? NJ: I decided to pursue a career in medicine for a million different reasons, depending on who asks. I’m a weird science nerd, and the human body (its physiology, anatomy, susceptibility to disease and disability) has always grossly fascinated me. Med school is really tough to get into in Canada, so I think I was trying to prove to myself that I could do it. It would hopefully provide the financial and social security for my current and future family that I felt obliged to reach for. But the biggest reason was because it has the potential to be an active agent for change around the world. Medicine is a powerful equalizer, as we use its language and culture to transform bitter enemies into patients we must care for. You have this insane privilege to enter people’s lives when they are their most vulnerable, and somehow provide them with hope using the skills you’ve built up over decades of learning. It amazes me, and I know that I will be fascinated by it for a very long time. The next scary question is, “What kind of doctor will I be?” In two years, when I finish medical school, I will complete residency in order to specialize in a particular field. Right now, obstetrics/gynecology and general surgery are my favourites. Obs/gyn is so integral in women’s health, from menses and throughout our reproductive years and beyond. You have the potential to be a part of the community of women who need you at such critical moments in their lives. The technical skills and pathophysiology behind surgically correctable diseases also fascinates me, so I haven’t ruled out the many sleepless nights and long O.R. shifts of a surgeon. TBM: How did you spend this summer? NJ: My medical school doesn’t have a proper summer break, so I was completing seven weeks of electives during July and August. I spent three weeks in general surgery in Niagara region hospitals, which was a grand ol’ time. Then I spent four weeks doing an obstetrics and gynecology elective at the Mulago National Referral Hospital in Kampala, Uganda. It was a humbling and eye-opening experience, to say the least. If you’re interested in learning more, I attempted to record my reflections and learning points in a little blog during that month, available here. Nicole with fellow McMaster medical students, and Hamilton physicians, nurses, allied health staff, family and friends uniting on June 15th, 2015 for the National Day of Action for Refugee Health. "We openly denounced the federal government’s cuts to the Interim Federal Health Program’s coverage of refugee healthcare. We will not be taught to deny care. More info at http://www.doctorsforrefugeecare.ca/day-of-action-june-15-2015.html." TBM: What's your favourite part of not working in modelling/fashion? NJ: Ahh, the freedom to pursue your heart’s many desires! Modelling is quite a strict profession. You’re told what to eat and how to look, and your schedule is at the mercy of the hierarchy of agents, photographers, and clients who would rarely accommodate to your life. Since leaving modelling, I’ve actively chased the experiences I missed during those four years (and not just going to parties at friends’ houses). I’ve travelled all around the world doing health and social justice initiatives in Bolivia, Thailand, and Malawi. I made friends that I know will be in my life for many years (even convinced one of them to be my partner, and we’ve had three wonderful years together). I found it difficult to be social during high school due to my crazy schedule, so this kind of camaraderie and support has been a blessing. TBM: What advice would you give to a model trying to figure out what to do next? NJ: Girl/bro, I feel you. The push and pull of making these seemingly massive life choices is overwhelming, and you don’t deserve any stress you may be experiencing. I often felt like my peers outside of the fashion industry could not relate to the complexities of a career in modelling, whether it was because they thought it was a cakewalk for pretty people, or they just didn’t care. Your feelings are valid, your emotions are real, and never let any career define your happiness and quality of life. Some people start modelling, and fall in love with it, never to leave. Some people try it for a couple years and decide it’s not for them. Some people return to it later. You’re not alone in any of your decision-making process, and if you ever need someone to talk to, I’m there. Pursue things in life that challenge you, that sustain your hunger for “something more.” Find people that will support you unconditionally. Check your privilege, as the ability to pursue a career in modelling is often due to lucky happenstances that we don’t deserve and many would trade anything for. Advocate for your rights to safety, health, and happiness. Eat well, exercise, but don’t beat yourself up if you can’t meet someone else’s standards of perfection. You are perfect the way you are, and someone out there will love you for it. Read the news, call your parents, be kind to those in need. And always use a good moisturizer. From Nicole's summer working in Kampala at the Mulago National Referral Hospital’s high-risk labour ward during my obs/gyn elective. "The “doctor’s uniform” doesn’t fit me yet, perhaps one day." Read Nicole's blog here. Nicole is represented by Spot6 Management in Toronto.